to Wagga for a field trip. Our guide was a Wiradjuri aboriginal based in Wagga. 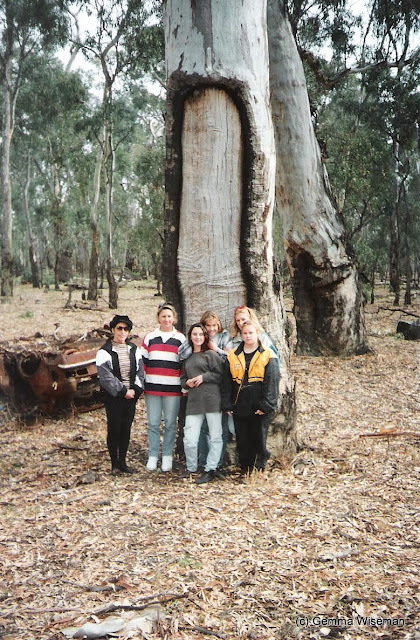 He took us round the Wagga region to areas used by the aboriginal people in past times. 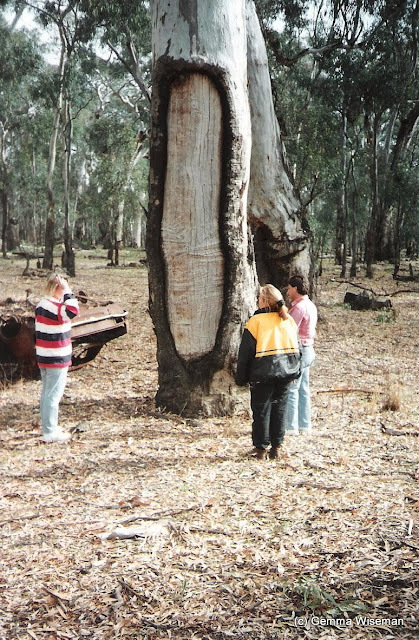 One was this amazing tree - carefully carved to make a canoe by the Murrumbidgee River. Charlie took the first photo for us and, in the above photo, he appears on the far right. All he asked for payment was to be collected in our mini bus and to be given lunch. At first, the girls only agreed to the trip because "they had nothing better to do" for the holidays. By the end of the journey, they were excited about all the special places Charlie had shown them. They said it was an unforgettable memory for them.